According to the US Department of Energy, 45% of our energy bills is spent on heating our homes. You can save hundreds of dollars with minimal effort and you don’t have to do it by sitting in a cold house and being miserable. You can be cozy and warm and cut your heating bills if you follow these simple tips. Reversing the rotation of your ceiling fan in the winter can help lower energy consumption by up to 10%. 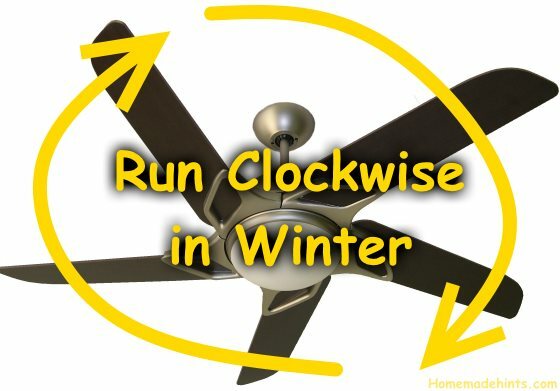 Flick the switch on your ceiling fan so that it rotates clockwise at a low speed. 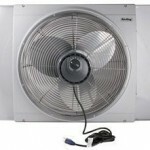 By doing this, warm air that rising to your ceilings will be driven back down to you where you need it. We took a temperature reading at the floor and then again at the ceiling and it was 7 degrees warmer near the ceiling. No one spends time on the ceiling (except Lionel Richie) so push all that warm air back to you on the couch! Keep your pantry doors closed, guest rooms and any other rooms and closets that don’t need to be heated. The less space you need to heat, the lower your bill. You can use a door draft stopper (aka, door snake, draft dodger) to help seal those unused rooms off even more. 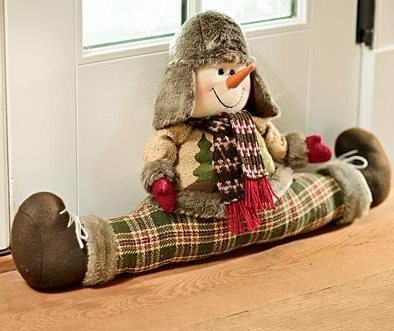 Anything you do to seal off the door – even if it’s just stuffing old rags or socks under the door gap will help. But if you want something more aesthetically pleasing, buy one or make your own. 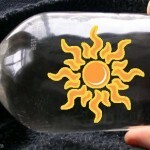 There’s a great collection of DIY draft stoppers on Pinterest if you feel like being creative. 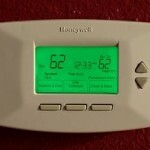 Programmable thermostats can save you several hundred dollars off your heating bill when set properly. There not difficult to install and are relatively easy to program. We’ve saved nearly $1,000 since we’ve installed ours – we talk about how you can save in our in-depth post here. 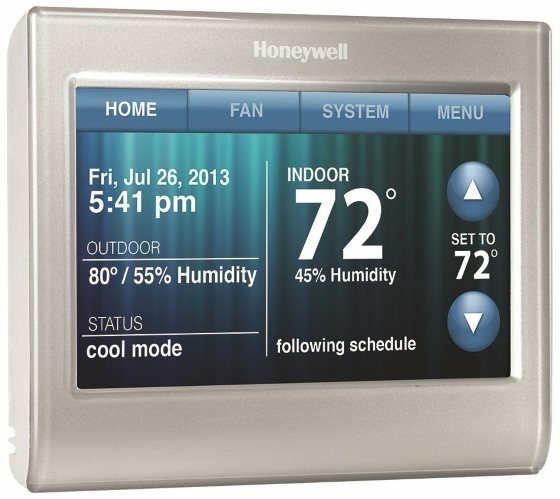 There are even WiFi-controlled programmable thermostats like the Honeywell pictured above. I highly underestimated the sneakiness of these sheets. They are heaven, little linen clouds, and before you are even aware of what has happened, they have wrapped you in a cocoon of bliss. Unfortunately this makes it incredibly difficult to get out of bed…ever. Something as simple as holding a warm water bottle can change you. It did to our sister-n-law. We gave her one of these when we were visiting her house and she’s been using it ever since. She’s one of those who are always cold, but this one thing made a world of difference to her. You can also make a heated bag filled with rice, beans, buckwheat hulls, feed corn, cherry pits, sand, etc.. The water bottle heat last longer, but if you want something to drape over your neck, etc., the rice option is more useful. For simplicity’s sake, you can use an old sock or pillowcase or something of similar size, fill up the bag with dry beans or uncooked rice and sew or tie off the end. Heat in the microwave in 1 minute to 30 sec intervals until it’s warm enough – just not too long or the rice will start to burn. If you like to get all fancy with it, try these instructions. A nice touch is to add a drop or two of your favorite essential oil to the filling for a pleasant, soothing scent. Would you believe our neighbors turned on their air conditioner when it was 55 degrees outside? It was a very sunny, spring day and a little warmer than usual. She liked to keep the blinds open, but on that day the sun made the house too warm so she turned on the A/C! My point being, use all that free solar energy to warm your house on cold days. 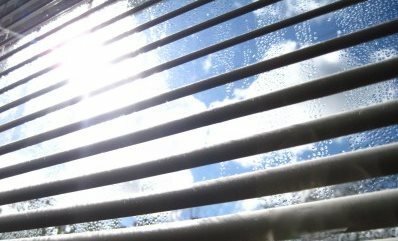 Open up your blinds and curtains that face the sun during the day. Likewise, close them when the sun goes down to conserve all the heat you just built up. I’m not saying you have to set your thermostat at 60 and put on four layers, but a little extra clothing can go a long way when it comes to warmth. For example, when taking our daily walk we pass by a house that routinely has their front door open with just the glass storm door closed in the winter and one day we saw a small child in a t-shirt and shorts near the door. Now you know it’s got to be near 80 up in therre if you can wear summer clothing in your house when it’s 20 deg F outside. At the very least, try wearing long pants and long sleeves. About 10 years ago I discovered the best solution to not having cold feet were these Sorel Nakiska Slippers. In fact, I just bought a new pair because I finally wore the old pair out. These are the warmest and most comfortable slippers I have ever worn. I highly recommend them if you have cold feet. I’ve worn all types of slippers, but these are the best because they keep my feet warm without making them sweat. They’re always juuust right. 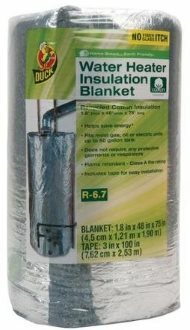 Save 4%-9% in water heating costs by wrapping up your water heater. By insulating the tank, you can reduce heat loss by 25%-45%. How do you know if your tank is insulated enough? If your tank feels warm to the touch, it is losing heat to the surrounding air. The water tank isn’t there to heat the air, it’s there to heat water – so wrap it up! 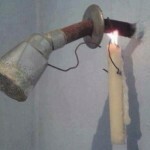 This is a simple and inexpensive way to save on your heating costs. 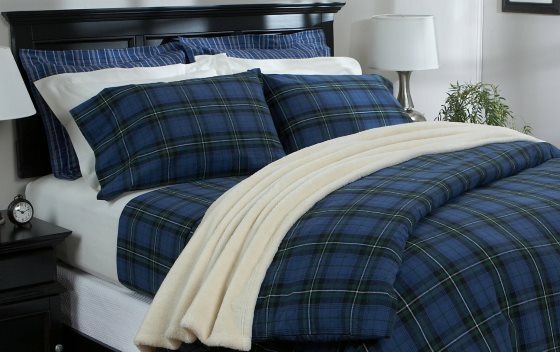 You can get a insulated tank blanket for as little as $20-$30. Keeping a clean furnace filter can save you from 5-15% on your utility costs. A dirty filter makes your HVAC (Heating, Ventilating, and Air Conditioning) unit work harder and waste energy. It is recommended that you change your filter every month, especially when the heater is being used more often. At the very least, change it every 3 months. When shopping for filters, note what the MERV rating is. MERV stands for Minimum Efficiency Reporting Value and is given as a number, ranging from 1-20. The higher the number, the better the filtration is – BUT, higher is not better for residential use in this case. For residential use, filters with a MERV rating of 7-13 are suitable for most home HVAC systems. MERV ratings above 13 are made for commercial and hospital buildings that have more robust HVAC systems. If you place a higher MERV filter in your home, your HVAC unit may be damaged due to the increased restriction of air flow by the filter. We like the Nordic Pure Air Filters. They’re very good quality at a reasonable price. Up to 25% of your home’s heat is lost through small cracks and holes throughout your home. All your small leaks combined equals a full window open to the outside, all the time. You can save heating costs by doing any one of the above suggestions. 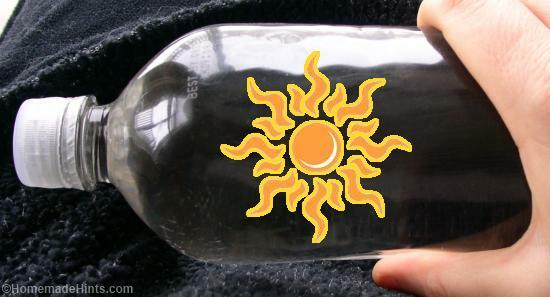 To sum up: Rotate your your ceiling fans clockwise, close off unused rooms, use a programmable thermostat, cuddle up in flannel sheets, hug a hot water bottle, let the sunshine in, put on some warmer clothes, insulate your hot water tank, change your air filter and weatherstrip windows and doors. You can find some additional tips at the Energy.gov website. What about you? Do you have any other tips to share. Have you tried any of these before? Let us know in the comments below.